Inject some humour into conventional gifts! Make something really personal and one-of-its kind in this world. Be introduced to the concept of caricature giving! 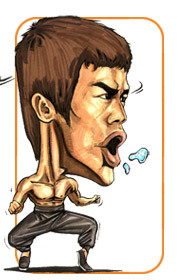 Caricatures are a graphical representation of a subject whereby certain features are deliberately exaggerated to bring forth a certain feel or theme. They make great corporate gifts for external delegates and customers, as well as for internal departments and associates. Natural affinity, loyalty and goodwill are bred thru humour in a caricature gift. Your caricature gift will be displayed for a long time to come! 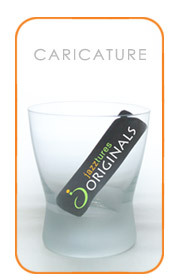 Jazztures now introduces our very own caricature gift! Marrying Jazztures� corporate giving experience with the Portrait Workshop�s caricature talent, you now have a ready Caricature gift for your next giving occasion! 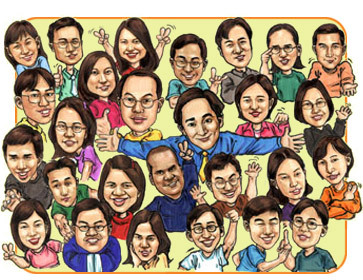 Admin Fee of $50 for orders of less than 10 caricatures is WAIVED for this promotional period! And now for a limited time, you can get a FREE upgrade to an A4 sized caricature (at your request). 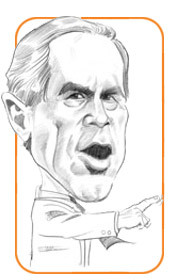 It is possible to put more than one person in one caricature, but charges are by per head. Bulk discounts are applicable though. Our artists will sketch from a clear picture of the said subject. The clearer the picture, the better the resemblance. Please give at least 2 weeks for less than 10 caricatures. The bigger the lead-time the better. This is a great personal corporate gift that will be cherished for a long time! Contact your Jazztures Sales Representative now!